Are Pharmaceutical Grade Vitamins or Whole Food Vitamins Better? 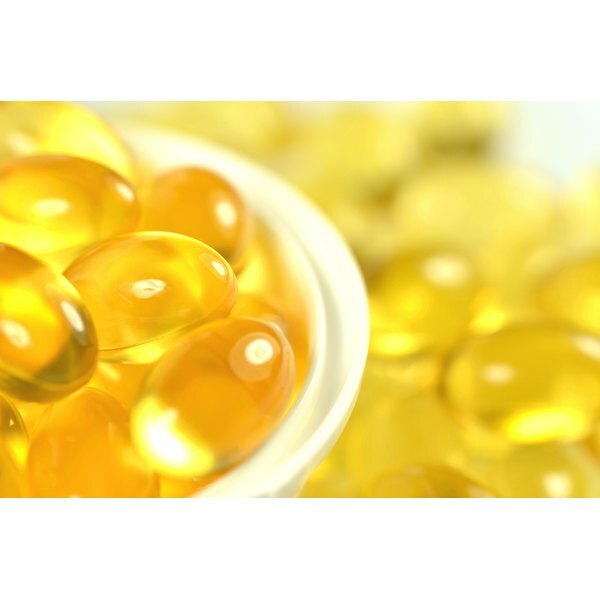 Are Water Soluble Vitamins Good Food Sources? Vitamins are in almost anything you eat or drink. However, eating your vitamins in natural form may not provide enough nutrients, especially during pregnancy or menstruation. Athletes and elderly people may also need pharmaceutical 'synthetic' vitamins in addition to natural vitamins. Both forms have their health benefits, but there are also some risks. Plant-based vitamins are found in fruits, vegetables and grain. Pharmaceutical vitamins are comprised of artificial chemical compounds and some natural vitamins and are sold as synthetic vitamin supplements. Both plant-based and synthetic vitamins contain vitamins A, C, E, D, K and vitamins from the B-complex group. You can obtain health benefits from both, although natural vitamins may take longer to absorb. Although there are benefits to taking vitamin supplements, health experts agree that natural is best in most cases. Mayo Clinic warns that supplements aren’t for everyone, although older adults and some others may benefits from taking them. Having a well-balanced diet can provide you with essential vitamins that ward off diseases such as cancer, heart disease, type-2 diabetes and stroke. Synthetic vitamins give the same benefits; however, they can also cause health problems for some. BBC Health states that taking vitamins could shorten your lifespan due to the consumption of fat soluble vitamins and B-complex vitamins in supplement form. People with food allergies such as fish, nut or milk allergies may be better off consuming vitamins in food form rather than taking synthetic vitamins. Some synthetic vitamins contain nuts, fish oil or lactose for easier consumption or added health benefits. Vitamins and minerals are both required in specific doses to maintain health and vitality. The vitamins are divided into two categories: water-soluble and fat-soluble. These vitamins are obtained through eating a variety of foods, specifically from the five food groups which include grains, vegetables and fruit, dairy and protein. If you have become ill or suffer from malabsorption, you may be directed to take vitamins in synthetic form for treatment. Synthetic vitamins are also used to reverse medical conditions such as anemia or malnutrition. This is because your body may not absorb the amount of vitamins or minerals that you need to maintain your health. In some cases, you will requested by your physician to take synthetic vitamins to prevent health conditions that you are susceptible to developing. Obtaining vitamins through food sources is a safer choice since it allows you to keep track of exactly how much of each vitamin you’re consuming per day. This is especially important when it comes to fat-soluble vitamins A, D, E and K. These vitamins can be particularly hazardous when taken beyond their recommended dosage in synthetic form. In fact, taking more than the recommended dose of any vitamin or mineral can cause multiple vitamin overdose or vitamin toxicity, which in some cases is life threatening. According to Medline Plus, vitamin toxicity normally occurs as a result of taking too many vitamins at once or high doses of individual vitamins over a long period of time. MayoClinic.com: Supplements: Nutrition in a Pill?